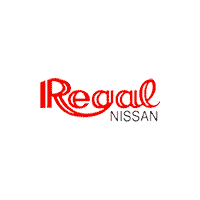 Why Service with Us Here at Regal Nissan? When it comes to auto repair in the Atlanta area, it pays to have a central location for your maintenance and service needs with the professional acumen to perform with distinction. When you stop by from Sandy Springs or take the drive in from Johns Creek or Alpharetta, you’ll find ours here at Regal Nissan in Roswell, GA on prominent display. Our staff of ASE-certified service technicians undergoes extensive factory training, and it has given them the knowledge of, and expertise in, the entirety of the Nissan line requisite to delivering a car repair experience of impeccable quality. What’s more, our Roswell Nissan dealer uses both diagnostic tech at the industry forefront and auto maintenance tools at its cutting edge to get the job done, all with only genuine Nissan parts. Plus, you can count on the peace of mind of a 12-month/12,000-mile parts and labor limited warranty when you have the latter installed by our personnel, and in select cases, a lifetime limited warranty. So, when you service with us, you can count on a commitment to value that endures. That extends not only to the complimentary multipoint inspection we offer to accompany your trip, or our clear, upfront cost estimates, or the free car wash we provide with each service. It likewise shows in our service specials, showcasing that at a competitive bottom line, and the availability of our convenient online service appointment scheduling, wherein apprising us of a few details from home can mean bringing you in post haste. You can even participate through our Nissan dealership in the Nissan One to One Rewards program, where you can earn points per service visit or accessories purchase to redeem toward future maintenance calls, further Nissan accessorizing, or even a new Nissan vehicle. To top off all that we have to offer your experience, a fleet of rental cars remain available, should you require one for the duration, as well as a shuttle service, a waiting lounge with Wi-Fi and refreshments while you wait, and more. Have a question about car repair or looking to acquire more info on our extensive array of Nissan auto parts? Our Regal Nissan team’s here to help. You’re invited to get in touch, whether by phone or here on the Web, and you’re always welcome to stop by and visit us here at 1090 Holcomb Bridge Road. Let us introduce you to the difference our Roswell Nissan dealership can make for the life of the vehicle you love! We also have rental cars available, shuttle service, a waiting lounge with wi-fi access, coffee and soda, early bird service, and a late night drop box. Whether you need an oil change, new tires, a dent fixed, or a full detail on your vehicle, we are here to help.